A group of young people from Barrow were able to go on a trip of lifetime, thanks to funding from the Cumbria Young People’s Fund. 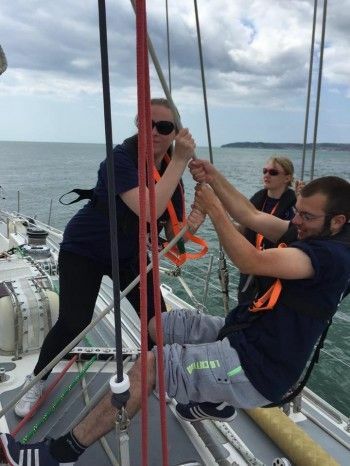 Project John, a supported housing project for 16-25 year olds, received funding to take 10 young people on a week long trip sailing around the UK on the Ocean Youth Trust’s 72ft Challenger Yacht, as part of an activity programme they run throughout the year. Nicola Kell, Project Manager said: “The grant greatly increased the young people’s confidence and self worth. They learnt communication skills and how to work as a team and it gave them an opportunity they would never have prior to this grant. Young people often come to Project John with confidence and self esteem issues, and needing life skills support. Coming from deprived backgrounds, they have never had the opportunity or skills to go and plan to do activities in the area. They also often have a past or present experience within anti social behaviour. 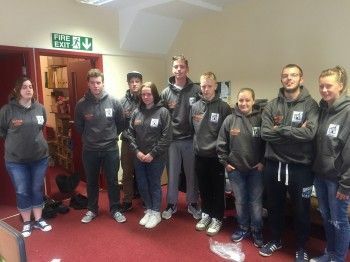 “We feel that these activities has given the young people opportunities that they never had before and will help contribute to preventing them to reoffend by giving them the knowledge about what is available to do in our area” Nicola continued. The Cumbria Young People’s Fund was created through a £1.2m legacy – the donor was a retired teacher who cared passionately about helping young people. Click here to find out more about the fund or to apply online.